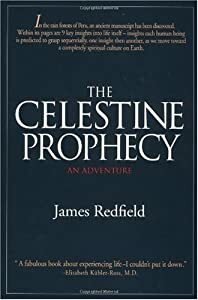 James Redfield, author of The Celestine Prophecy and The Tenth Insight has started a series of Global Prayers. It is guided prayer, guided meditation, and discussion with James Redfield. The next Global Prayer will be on October 26th, 8-9 pm Eastern/US. On the site they give information on different time zones. On November 2, we’ll see one of the most important mid-term elections in US history. Let’s focus our prayer on increasing the honesty, integrity and wisdom by those participating in this election. We’ll visualize and affirm that voters can cut through the ideological distortions on both sides to vote for the person who they think can operate in Washington with the most integrity and effectiveness. Join us as we lend our energy to uplifting all those who have to make these difficult decisions in this key election. The phone line will open at 7:55pm EDT. Call the number above and enter the Caller ID. Once connected, please say your name and location, then press *6 to mute yourself so the noise level will be kept to a minimum. Each participant will be responsible for their own long-distance phone charges. Our twice-monthly gatherings have been making a powerful difference, both in people’s individual lives and the world at large. Many of you have written us saying that the energy generated from this network of spiritually-minded participants is “indescribable,” and we look forward to continuing this healing circle of focused prayer. Like all prayer experience devoted to helping others, many participants have felt the results in their own bodies and received guidance for their own lives. Research tells us that the more people praying together, the more powerful the prayer and the greater the level of energy felt by the participants. We invite you to join the largest regular prayer network in the world. If you would like to take an active role in maintaining a circle of positive intention across the globe, while going deeper and heightening your own spirituality, join us on Tuesday, October 26.